Cadillac is getting on the arts and culture game that other luxury automakers have been playing for a while. Mercedes has its Fashion Week; BMW has its Art Car Collection; Lincoln has its, uh, wait, what’s Lincoln doing again? And now, Cadillac is taking over architecture with the Cadillac architectural tours that begin next month. These Cadillac architectural tours, called the “Driven by Design” campaign, will first be held in Chicago but will go on to include tours in Dallas, L.A., Miami, and New York throughout the rest of the year, according to Automotive News. 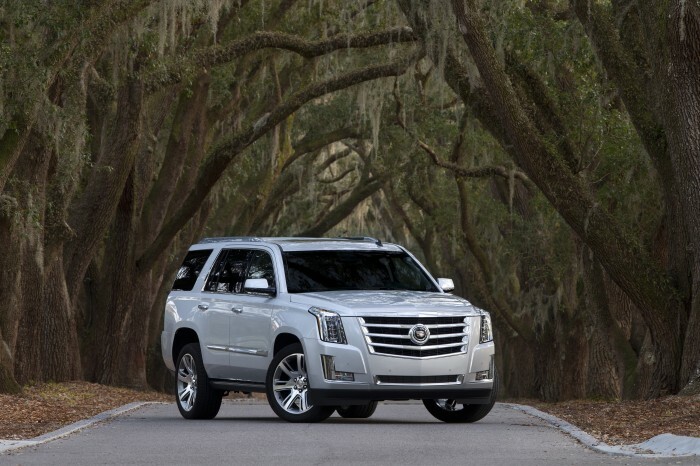 Each city will invite a few hundred drivers—some Cadillac drivers and some drivers of other luxury automobiles—as they are chauffeured in all-new 2015 Escalades to visit a handful of locations of architectural importance, including a boathouse in the Windy City and the One World Trade Center tower in New York City. While noting the distinct styling of the architecture, it is hoped that participants will also note the distinct styling of Cadillac. Important architects and designers will serve as tour guides for the events. Do you think turning to architecture is a wise move for Cadillac, or is the art scene no place for an automaker?